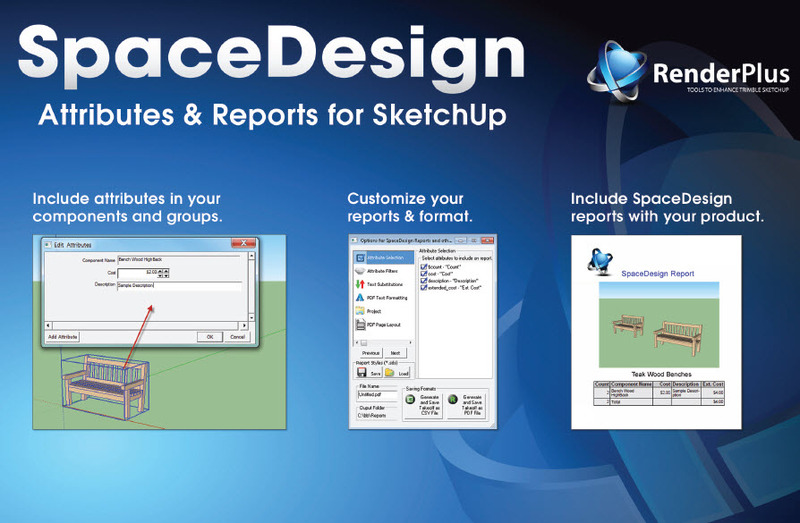 SpaceDesign add-on for SketchUp helps you define attributes, create reports on SketchUp components, extend costs, product cutlists, and more. Although SpaceDesign can be used by individual users, it is designed for use by SketchUp Service Providers to enhance the products and services they provide to the SketchUp community. Component Makers can include attributes for reporting in their components. Ruby Developers can include attributes for reporting as part of the geometry they create. All providers can benefit from the enhanced value of their offerings, by making free versions of SpaceDesign available to their client's end users and/or including OEM versions of SpaceDesign as part of their offering. SpaceDesign is for Component Layout Tools, Attributes and Reports, Calculations and Information. 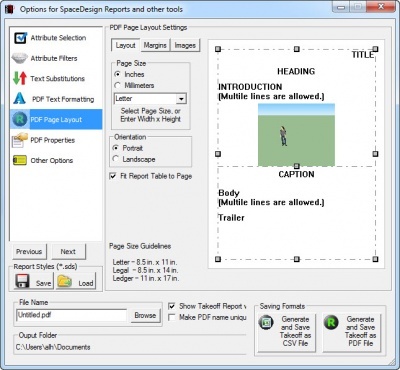 Space Design is very powerful – allowing customization of attributes, calculations, reports, etc. – However that means it can be challenging for end users to get everything right for a custom report. It makes more sense if a SketchUp Service Provider sets up attribute definitions, report formats, etc. and then passes them on to the end user. Include Attributes in your Components and Groups for reporting then include SpaceDesign as part of your final product. Place Components, rotating them with the arrow keys as you place them. Use wizards for simple edits - rotate, move, copy, mirror, etc. 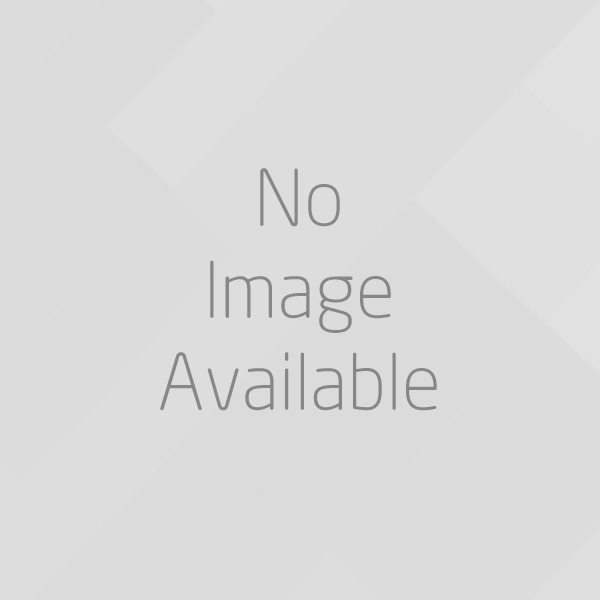 Save special SketchUp image - e.g. edge lines only. SpaceDesign can be very easy to use for simple reporting - such as a count and cost of components placed in a model. It also has very powerful features - such as as length, area and volume calculations which can create more complex reports, but will also be a little harder to use.